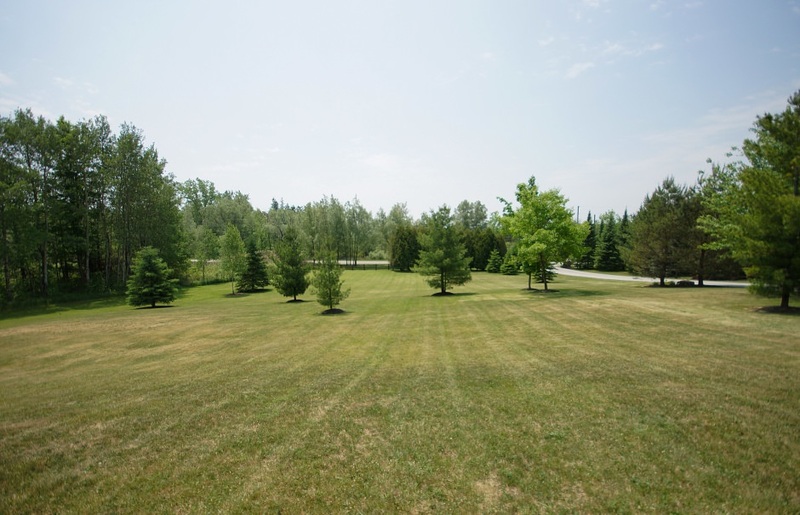 This custom-built bungalow is situated on a private 2 acre lot in rural Campbellville just minutes north of the village of Brookville. 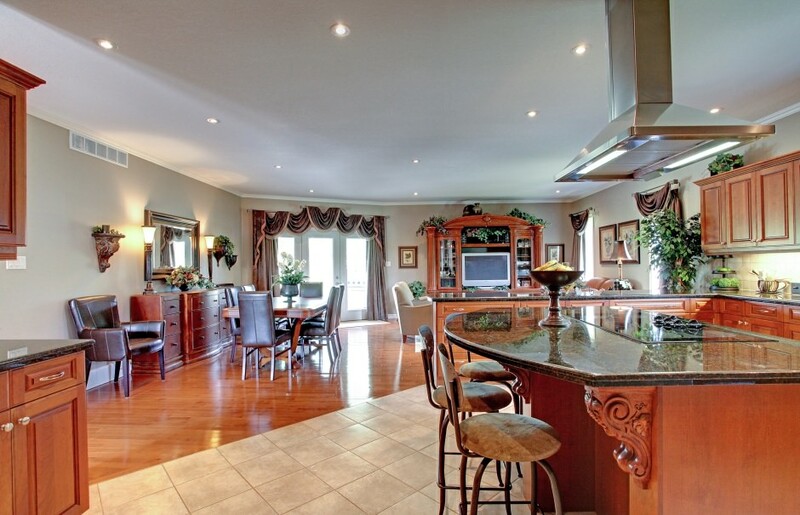 The home features 2683 sq ft of luxury finishes plus the finished lower level with walk-out basement, a custom kitchen by Platinum Kitchens with a huge island, an abundance of cabinetry, an upgraded stainless steel appliance package, and servery with wine fridge and bar area. 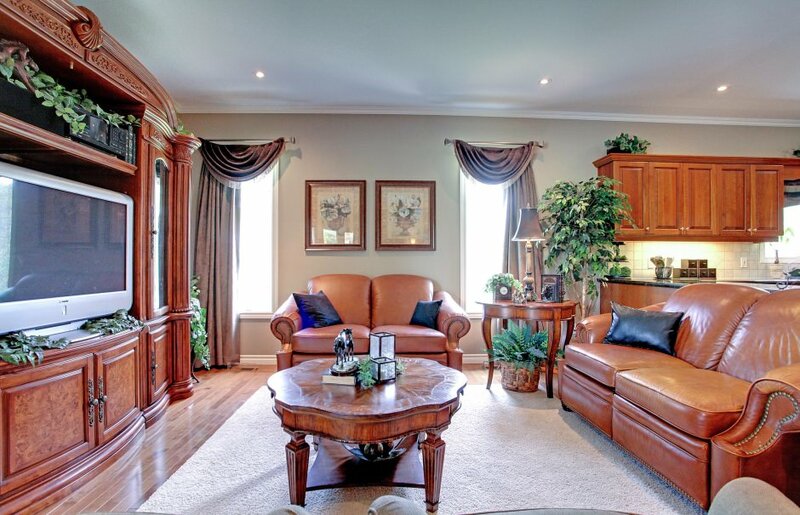 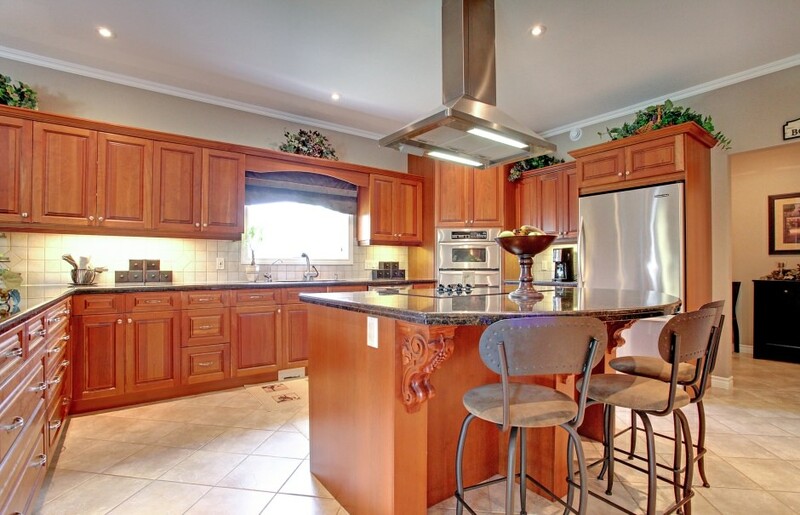 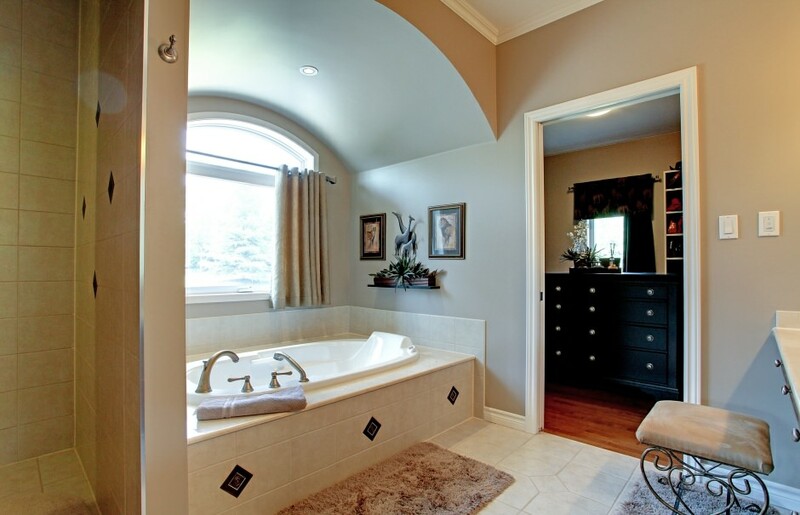 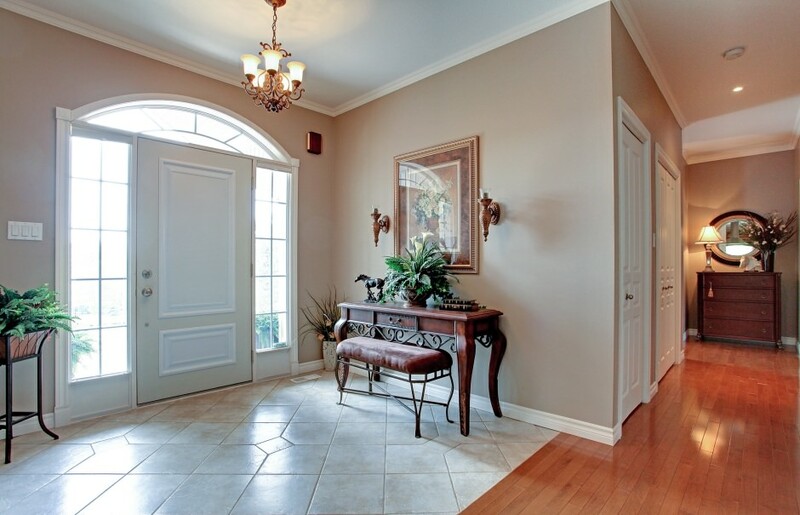 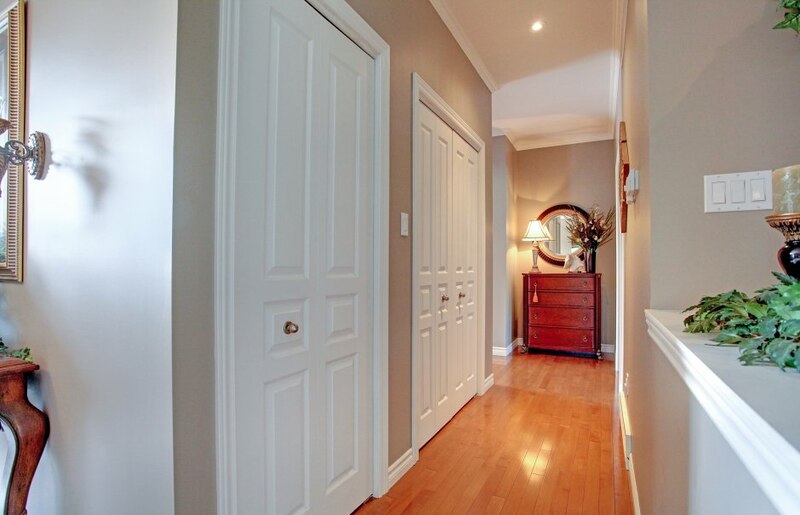 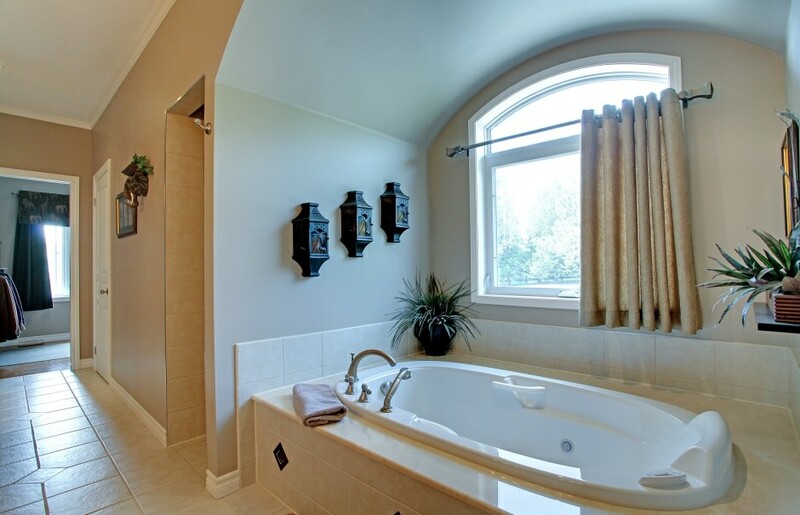 The main level has maple hardwood flooring throughout and ceramic tiles in all bathrooms, mudroom, and foyer. 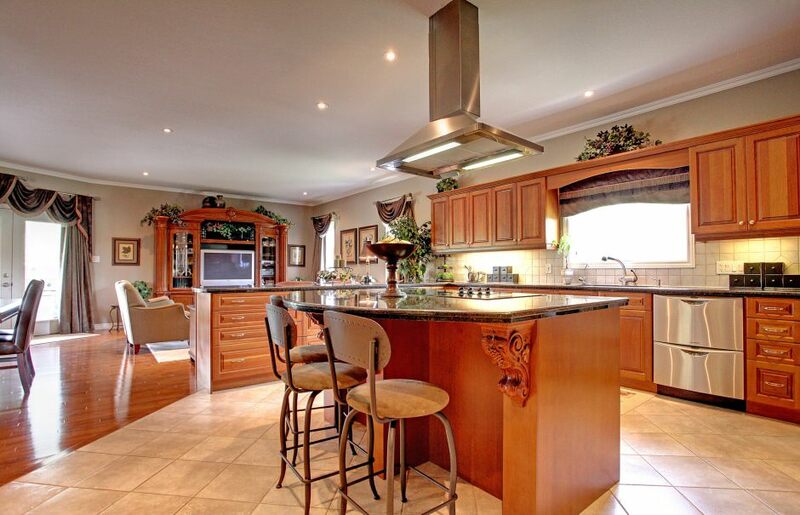 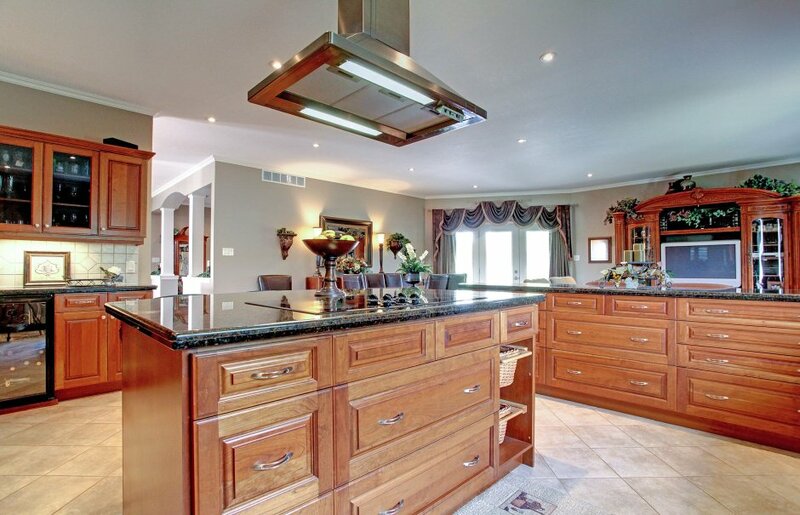 This house has an inviting and functional floor plan with the kitchen open to the family room and dining area. 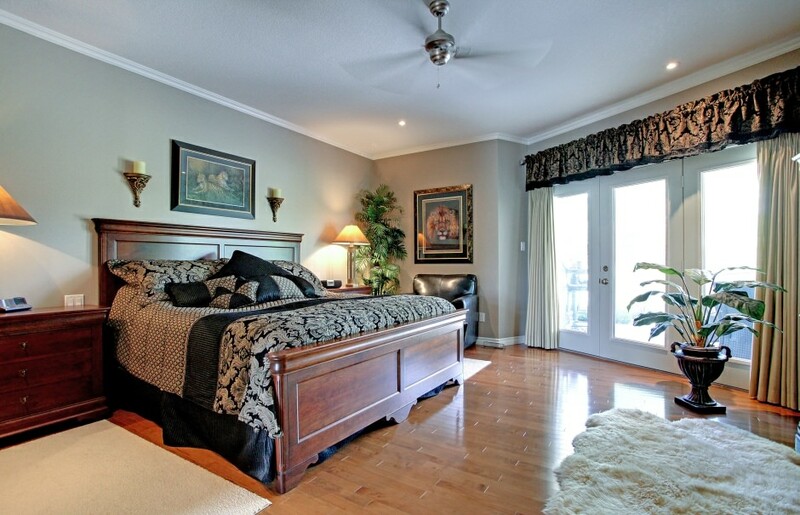 The exceptional floor plan has been meticulously designed with huge master suite including 2 large walk-in closets and a 4 piece ensuite with custom cabinetry, servery with bar fridge, and luxurious jetted bathtub and shower. 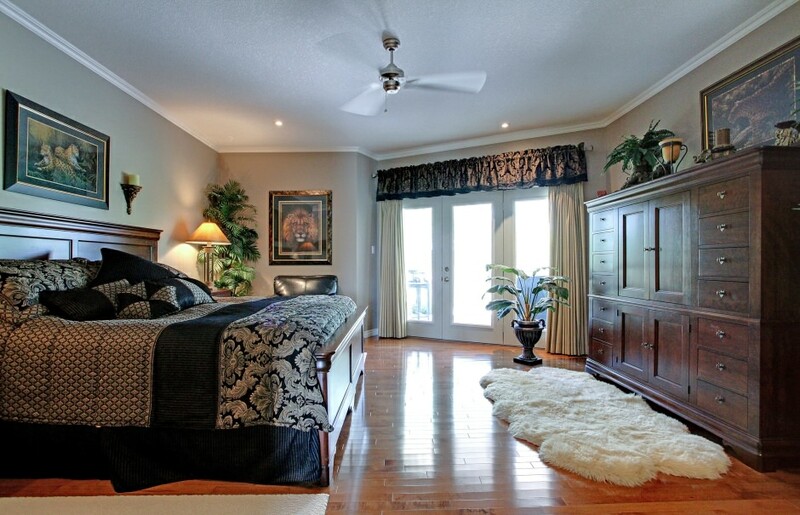 The customized main floor laundry room is situated near the bedrooms and the 2nd bedroom is currently used as an office. 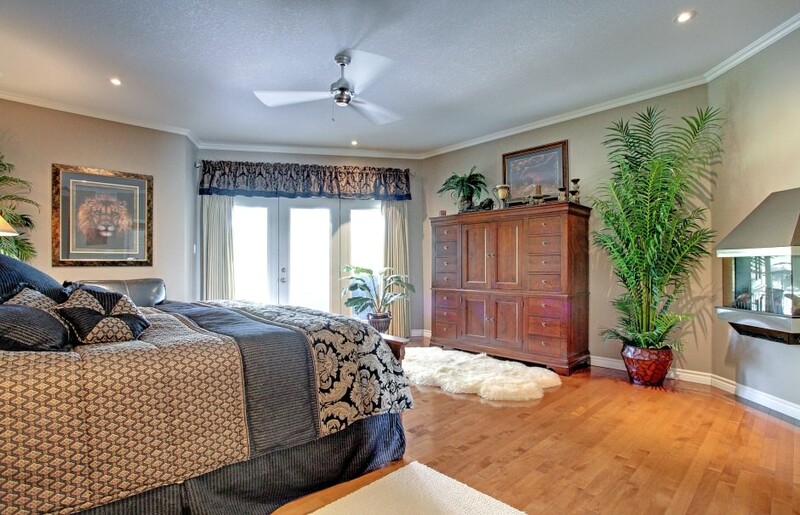 The home has an abundance of closet space & storage and has an outstanding covered rear porch with access points from the master suite and dining rooms. 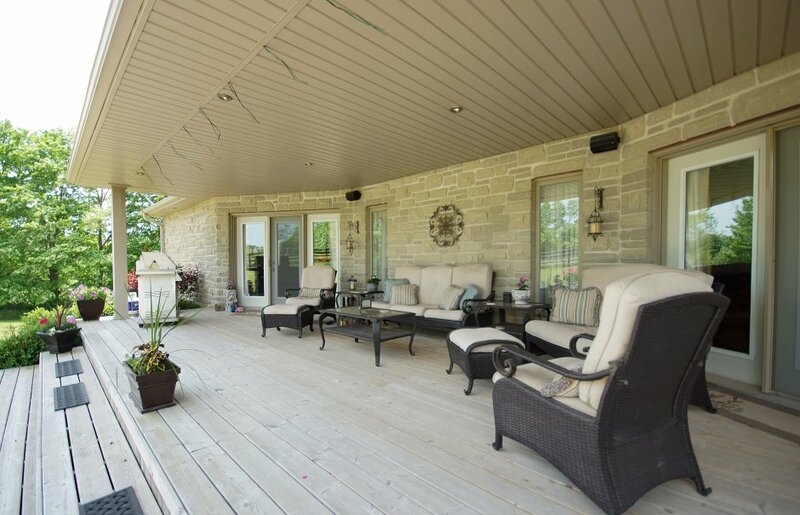 The fully finished lower level has an in-floor heating system, above grade windows, and walk-out to a lower level interlock patio. 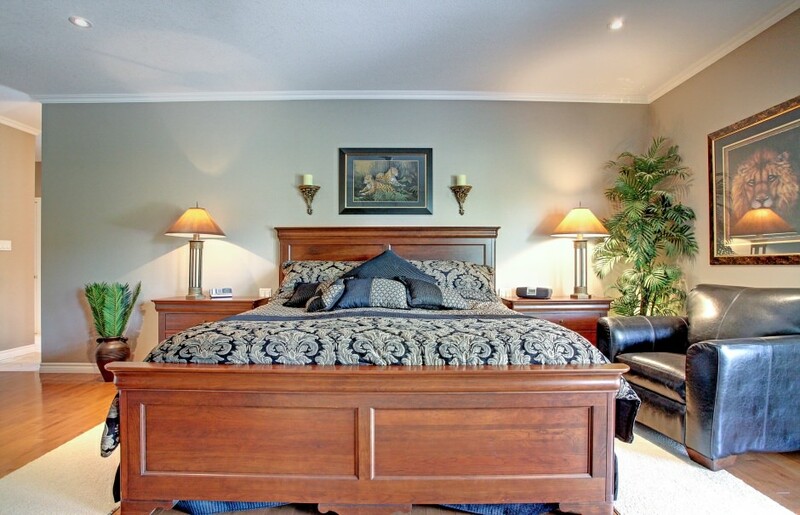 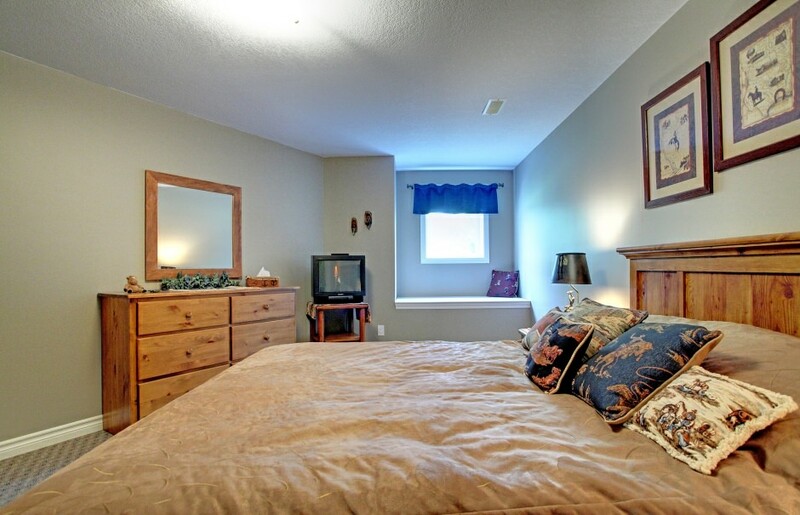 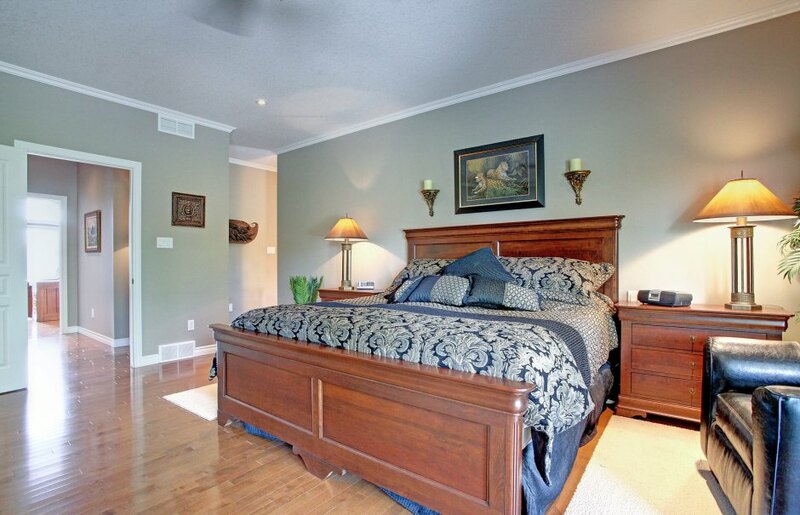 The 3rd bedroom is conveniently located with access to a full 4 pc bathroom and the large recreation room area. 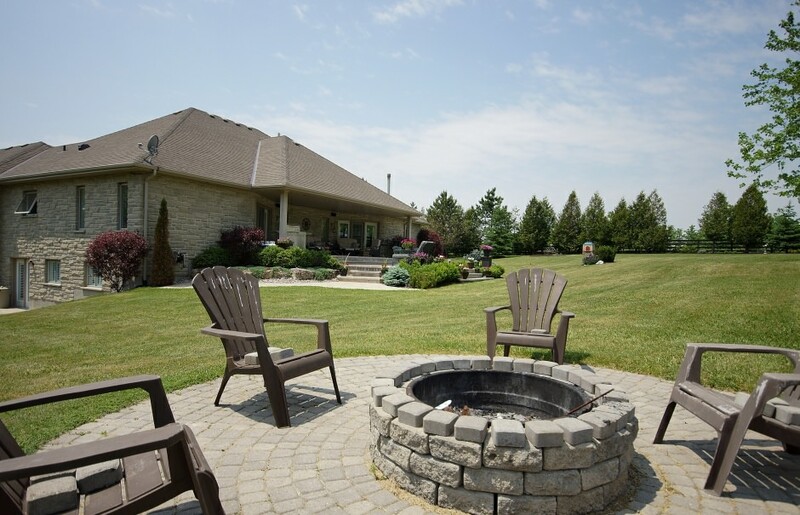 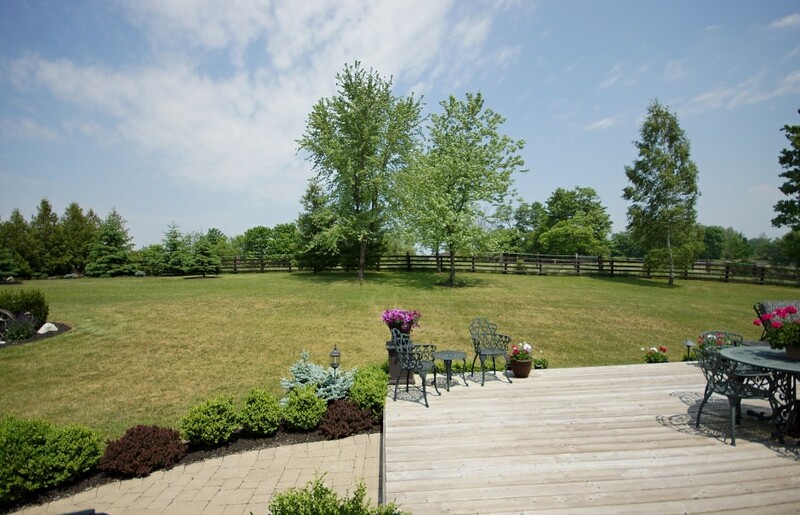 The grounds have been impeccably landscaped with a long paved driveway and an abundance of mature trees and shrubs. 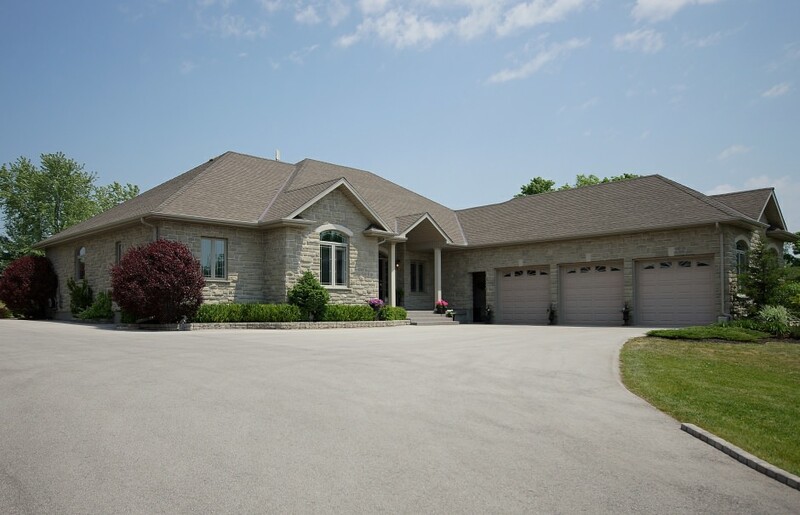 The property is completely fenced and the home is 100% stone exterior, giving it timeless appeal. 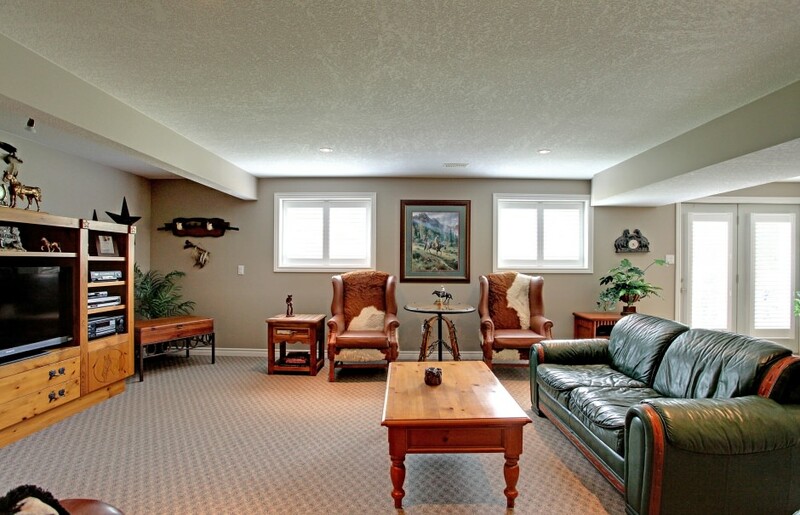 The home offers a spacious 3 ½ garage has ample storage and natural light. 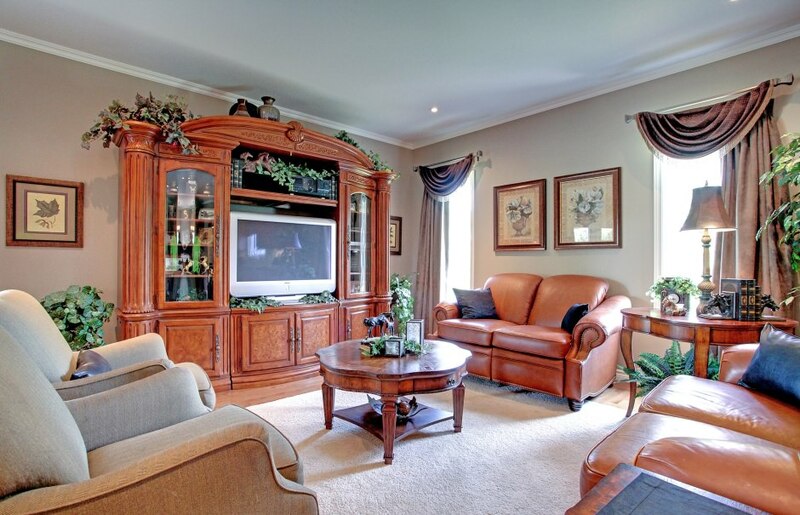 This is an outstanding home!